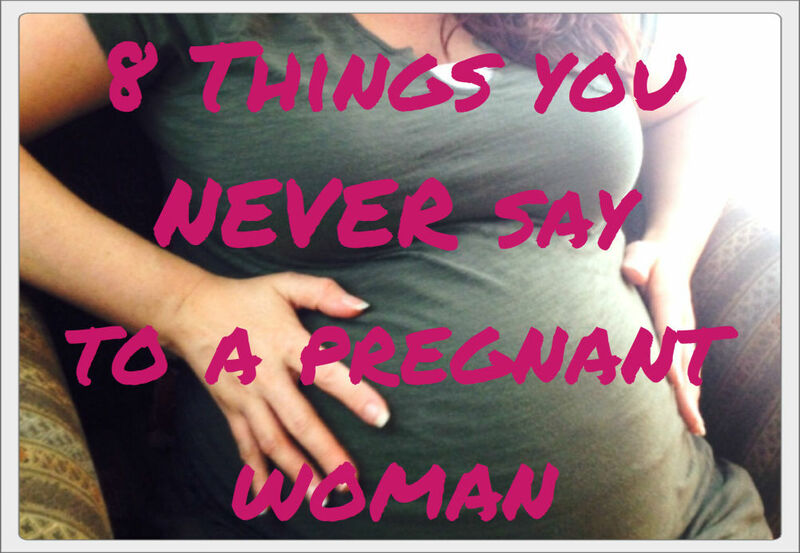 In my third trimester of my 4th pregnancy, I’ve endured an unreal amount of torture from flippant comments. I can’t even believe some of these myself considering I’ve remained outside of prison thus far. Here’s a list of actual comments I’ve received. Please pass them on to your friends who lack common sense. You’re pregnant?!? Why are you exclaiming this with such incredulity? Thanks for pointing out any number of things like I’m just fat enough to be riddled with this question or shouldn’t be pregnant for some reason. What would I do without you to remind me? For some, it may be due to the fact that I’m baking my 4th child, but that is not your business. Just say congratulations with a smile. You only have one in there? Yes JUST ONE. Once again, thanks for reminding me that I don’t just look pregnant, but fat. The hormones aren’t enough to depress me – I needed your help. Just say congratulations with a smile. Are you having twins? Review the last comment. And really? You’re doing this AGAIN?!? Once again, your incredulity is making me want to punch you in the face. Why is it your business how many times I am willing to go through incredible torture for the gift of an amazing & beautiful human being? I’m not going to list all the assumptions I think you are making right now (like how you think I can’t afford another child) so just say congratulations with a smile. Did you plan this?!? Why don’t you plan to keep your trap shut when you hear news that you aren’t exactly on board for? I’m all for transparency when it’s for a reason. This isn’t one of those reasons. Ask yourself, “Is it my business?”. Then just say congratulations and smile. Wow, you have a long way to go. Though I am intimately acquainted with my due date, somehow you thought it appropriate to remind me of the remaining months I’ll have to enjoy the rigors of pregnancy. Please, go offer your assistance to someone else or just say congratulations and smile. You must really love kids. I just can’t. Just say congratulations, smile, and don’t talk to me again. Good for you because I could never do it. Do I really need to translate how this comes across? Why don’t I start throwing out that comment for everything you have going on, like “wow, good for you marrying him because I could never do it”! Now how does it sound? Just say congratulations and smile.